You are here: HomenextAreas and PlacesnextLangdon HillsnextBBC Essex ‘The Quest’ visits Mark’s Hill Wood, Langdon Hills. Sunday morning at 9 pm, members of the Basildon Natural History Society gathered in Mark’s Hill Wood (off The Staneway) to greet Vicky and Barry from BBC Essex. From here, they were to start the first leg of ‘The Quest’ after being given the first clue. 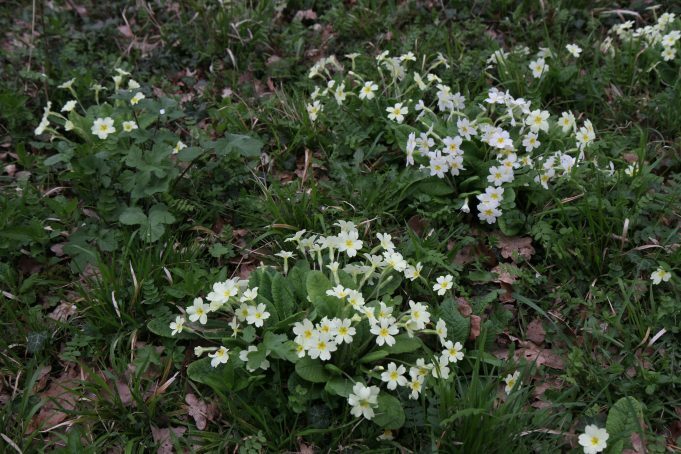 They were delighted to see this lovely nature reserve with its yellow and white primroses already in bloom along with two early bluebells. 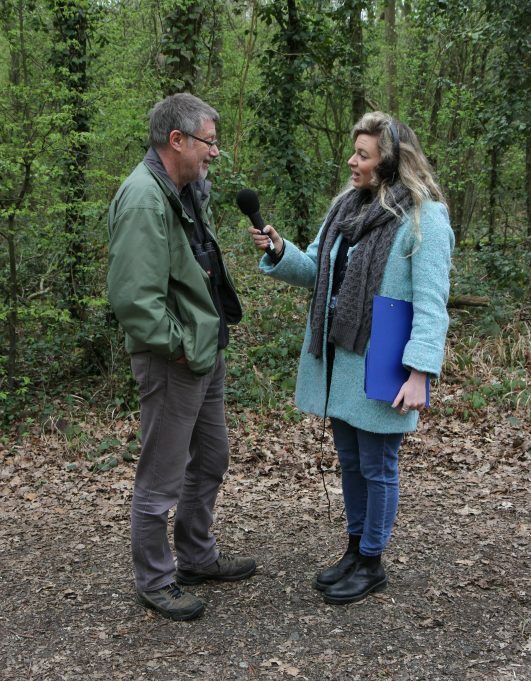 They asked Glenn Jacobs (Chair of Basildon Natural History Society) about its history, what conservation activities take place in the wood, the various walks and social events that it holds and how people can join the Society. 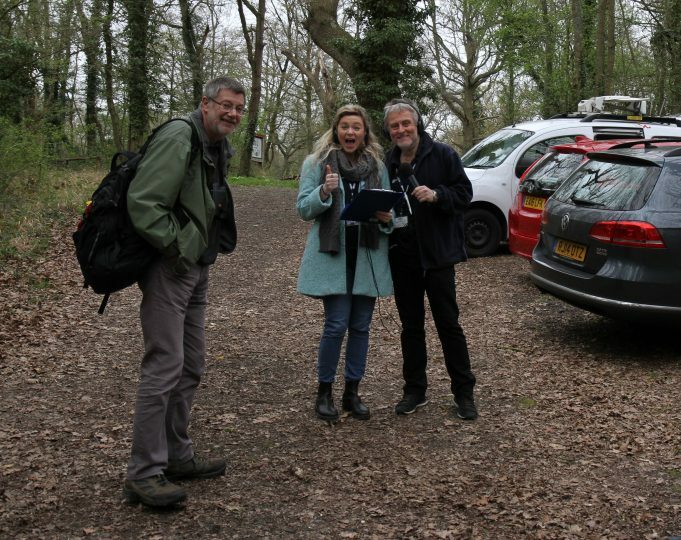 After listeners had phoned in with the answers to the clue, Vicky and Barry were told their first destination was The Fold, in Billericay, so they set off in their vehicle. They later visited Wickford Memorial Park, Dunton Plotland’s Museum and Noak Bridge Nature Reserve. Sadly although they did very well, they didn’t quite manage to complete ‘The Quest’ within the allocated time limit. Glenn Jacobs of Basildon Natural History Society being interviewd by Vicky Carter from BBC Essex. Primroses in Mark's Hill Wood. Glenn Jacobs with Vicky and Barry, waiting for the answer to the first clue before setting off on 'The Quest'.